Only a few plants bear leaves of this type. Their identification, therefore, is comparatively simple when foliage is present. 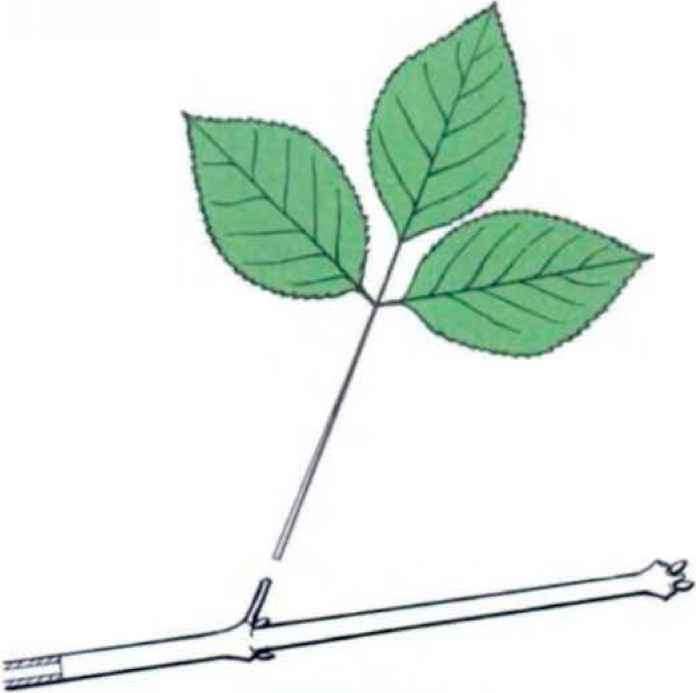 In winter, however, unless dead or evergreen leaves are attached to the twigs, there are no certain clues to indicate whether the plant once bore compound or simple leaves. 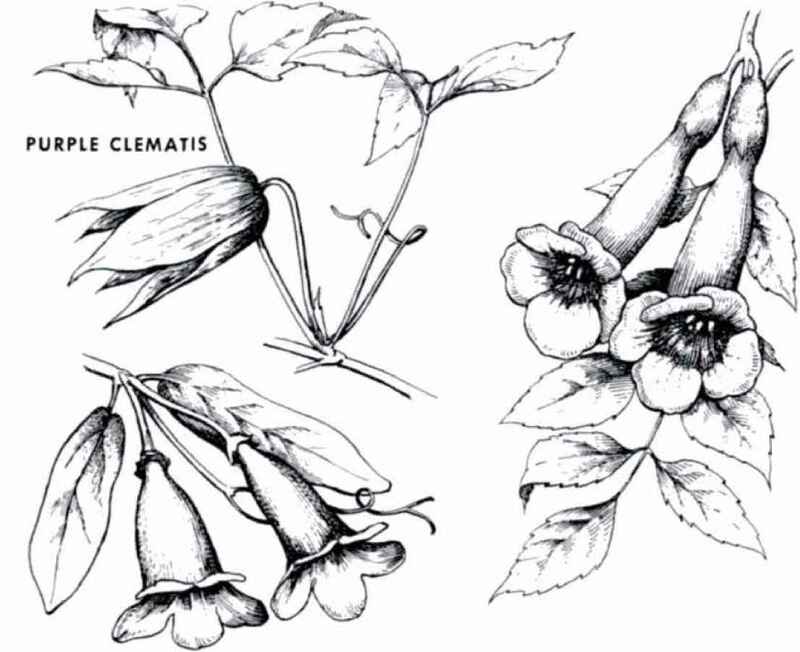 Then, this Section must be grouped with the next, whose twigs also bear opposite (occasionally whorled) leaf scars and buds, I he twigs of a leafless unknown plant with opposite leaf scars may he compared with the drawings in Sections II and III. 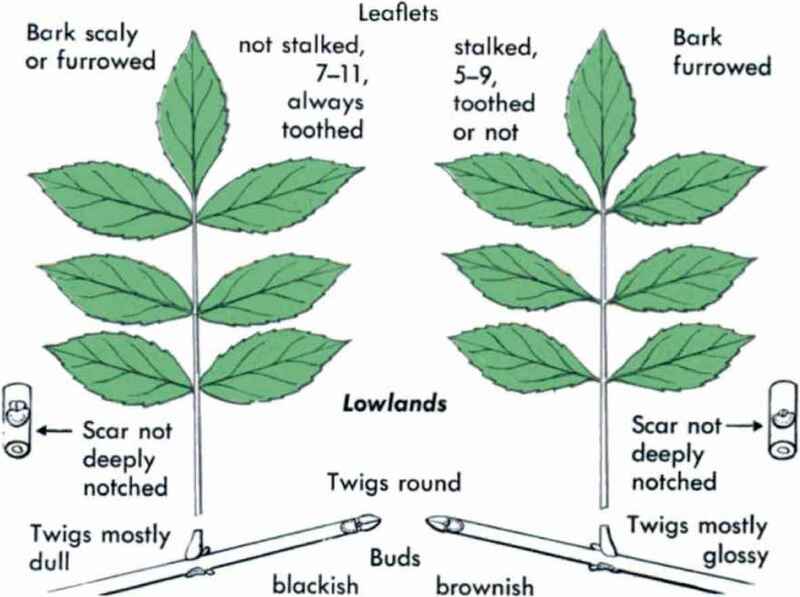 Some alternate-leaved plants bear stubby, scarred, leaf-crowded spur branches. 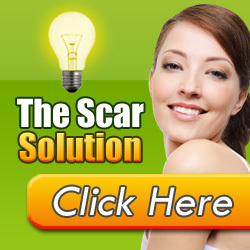 Care should be taken that their leaves and leaf scars are not assumed to be opposite or whorled because of this crowding. None ol the plants in our area with true opposite or whorled leaf scars ever develop spur branches. 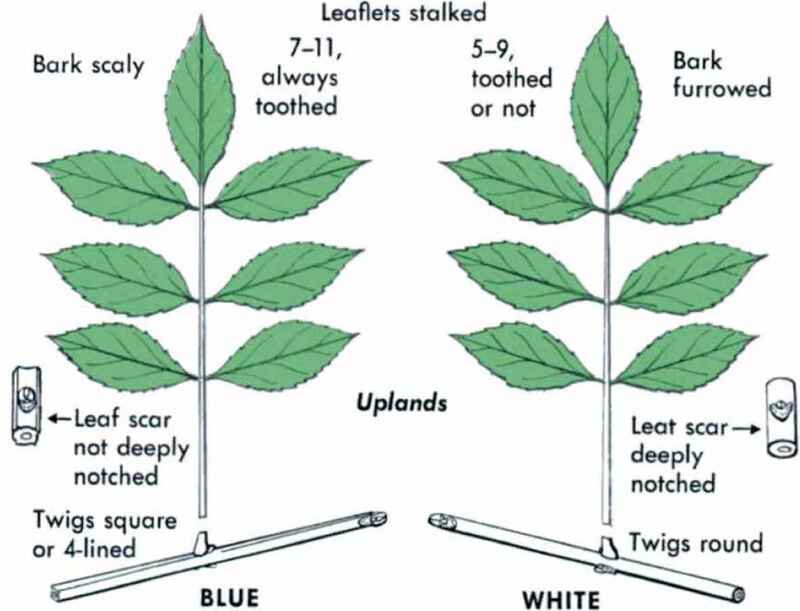 Twigs with un-crowded leaves or leaf scars should be selected for identification. 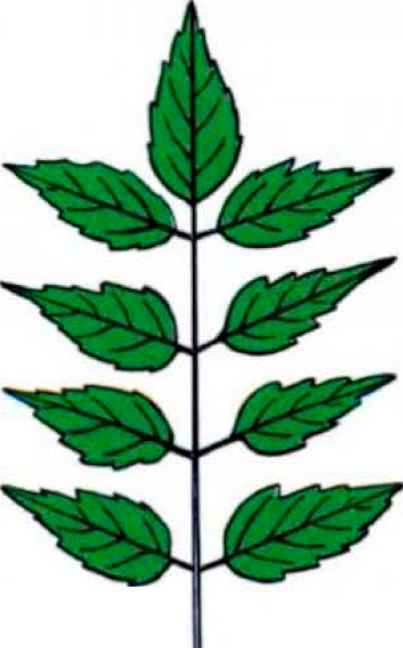 All other vines have either alternate compound leaves or simple leaves. Woods and rocky places; e. Quebec and Manitoba to Delaware, \V. Virginia, Michigan, and ne. Iowa. 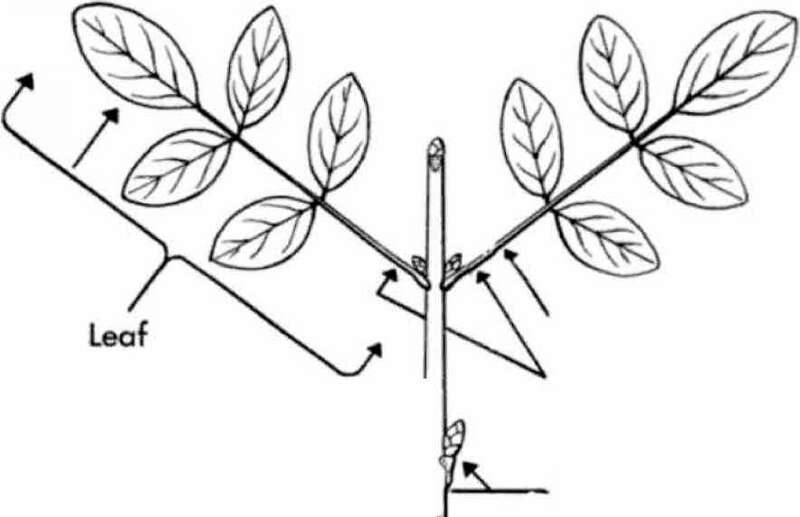 The only upright shrubs (or small trees) with paired, feather-compound leaves. Bottomlands and fertile soils; Massachusetts, sw. Quebec, s. Ontario, n. Michigan, and s. Minnesota to Georgia, Alabama, se. Oklahoma, and se. Nebraska. Thickets; Nova Scotia and Manitoba to Georgia and Texas. 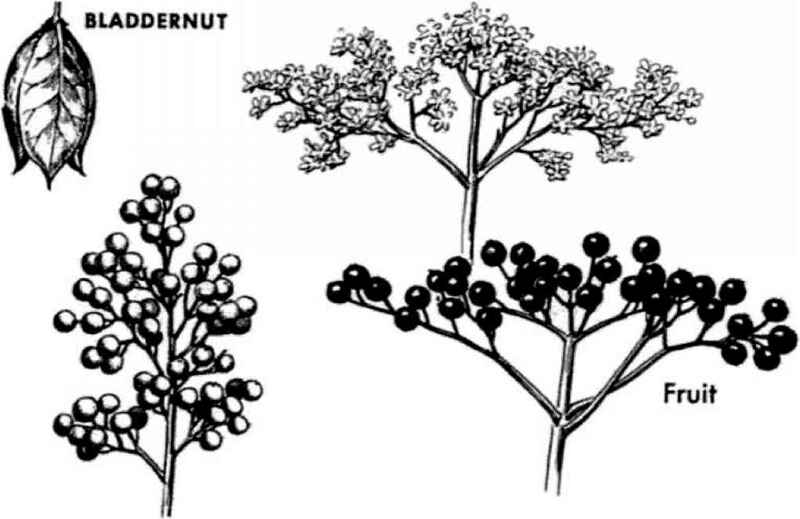 #T EUROPEAN ELDERBERRY, S. nigra (not illus.) p. 48 European; occasional escape from New England to Virginia. Forest openings; Newfoundland and Alaska to New Jersey, W. Virginia, Illinois, ne. Iowa, Colorado, and Oregon; in Appalachians to Georgia. Alabama, Arkansas, and ne. Oklahoma. Upland forests; Nova Scotia, s. Quebec, s. Ontario, n. Michigan, and se* Minnesota to Florida and e. Texas. Floodplains and swamps; Newfoundland and Manitoba to n. V irginia, W. Virginia, Illinois, Iowa, and net N. Dakota. Streambanks and floodplains; Nova Scotia, Quebec, s. Ontario, Saskatchewan, and se. Alberta to Ceorgia and Texas. Are mango tree leaves alternate or opposite? 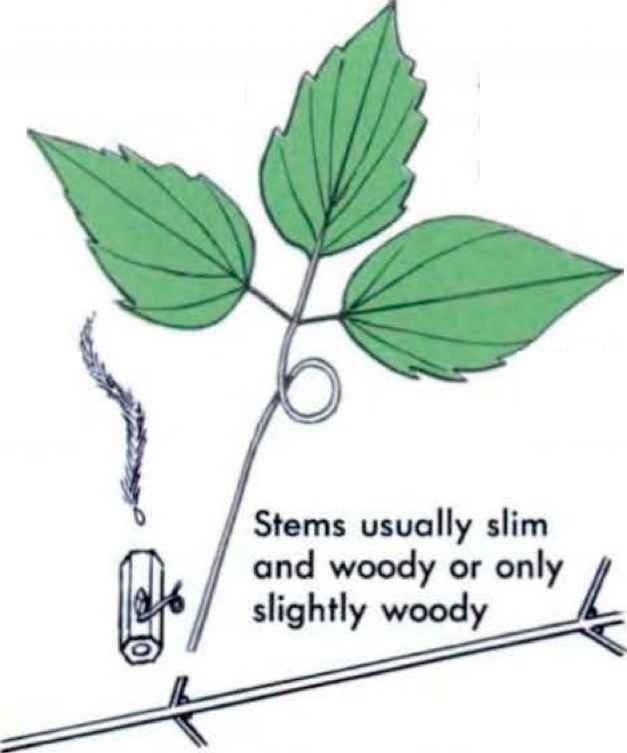 Are winter creepers have compound leaves? What is notches in leaf? 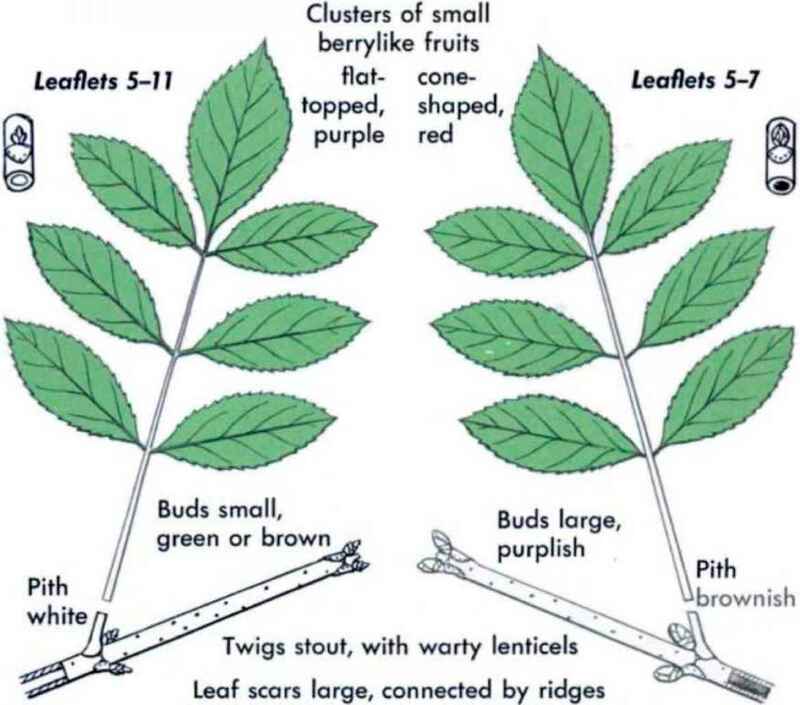 What is leaflets in plants?